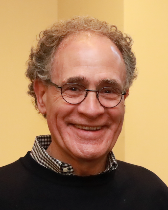 Larry Christiano's research has been focused primarily on the problem of determining how the government's monetary and fiscal instruments ought to respond to shocks over the business cycle. This research has two parts: one involves formulating and estimating an empirically plausible model of the macroeconomy, and the second involves developing economic concepts and computational methods for determining optimal policy in an equilibrium model. He is a Fellow of the Econometric Society, and a research associate of the National Bureau of Economic Research.